The DWX-52DC Dental Mill with Disc Changer is the newest addition to the popular DWX series of 5-Axis Dental Milling Machines. With a combination of automated functions designed to help reduce manual work, production of dental restorations is now even more efficient and reliable. 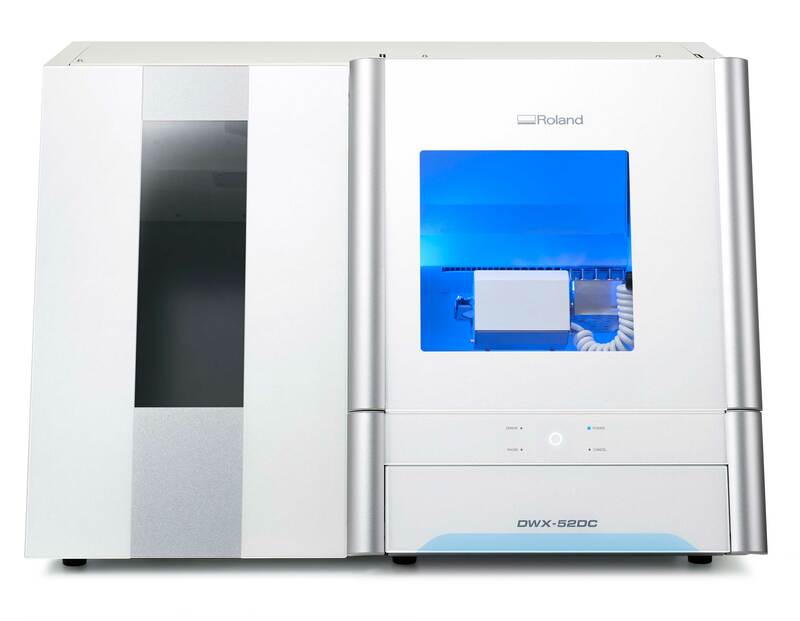 The DWX-52DC’s open architecture means it can be used with the CAD/CAM software that your technicians are already familiar with in order to cut learning time and create the optimum workflow for your production environment. The DWX-52DC provides an efficient digital solution for both dental laboratories seeking to boost production capabilities, as well as labs looking to expand into the digital realm. DGSHAPE is the brand name of the 3D business unit spun off from Roland DG with the core mission: “make innovation, make life better.” DGSHAPE delivers digital technologies that bring ideas to life, revolutionise business processes, and shape a better future. Our goal is to fuse human creativity with digital workflows to provide exceptional value across multiple endeavours, from individual craftsmanship to manufacturing, healthcare and beyond.